Jean Mertzanakis hails those who quietly beaver away in the background and keep the Chaplaincy going. 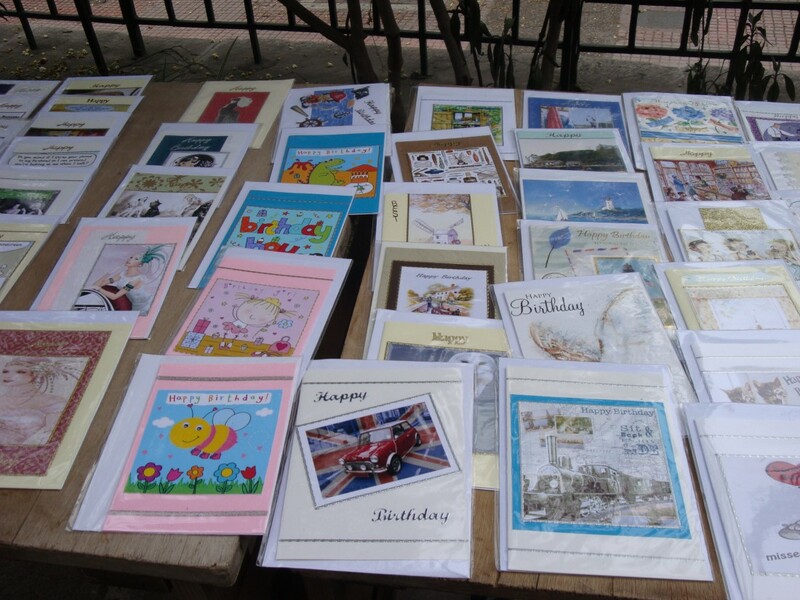 Anyone wishing to surprise friends and family with a beautiful handmade greetings card need only look at those created by our very own Anne Dedes. 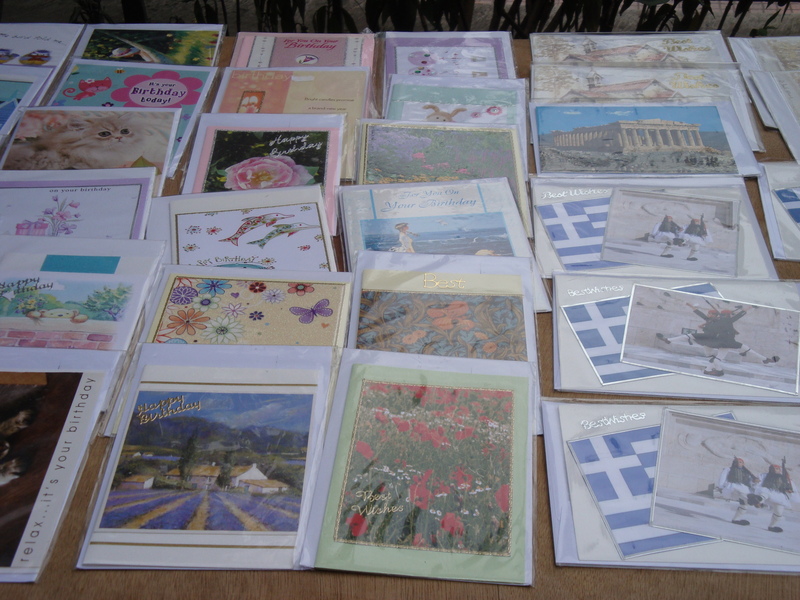 They cover every occasion and Anne makes sure that humorous ones are included amongst cards featuring animals, flowers, religious motifs, Greek themes and many more. Should you need an individually designed card, or one celebrating an important anniversary or other occasion, Anne will gladly step up and create one. If you happen to phone her for any reason, you may be met with the words “I’m just doing my cards” – evidence of the many hours she spends working at home on behalf of the Chaplaincy. 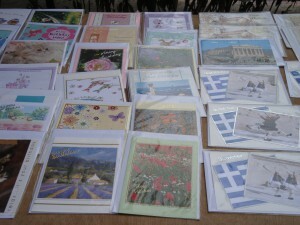 Her cards are on offer at our monthly Community Connect coffee mornings at the Swedish Centre in Plaka, Athens, and the Katsarina Taverna, Kifissia, as well as once a month in the garden of St. Paul’s following the Sunday service. The money from card sales helps swell the amount available for Anne’s stall at the annual Christmas Bazaar, where you can find her handmade decorations for the tree or the Christmas table – and beautiful imported Christmas crackers, always a favourite. All proceeds eventually go to the running of the Chaplaincy itself and the charitable organisations it supports. 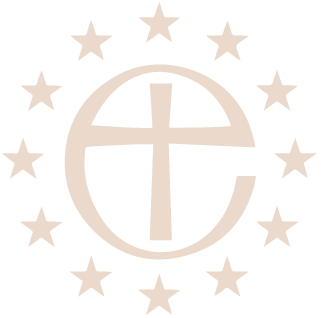 In a period of economic crisis, and for a totally self-supporting organisation such our Chaplaincy, the value of the time and effort freely given by Chaplaincy members such as Anne cannot be over-estimated, so …… a big “Bravo” to one and all!